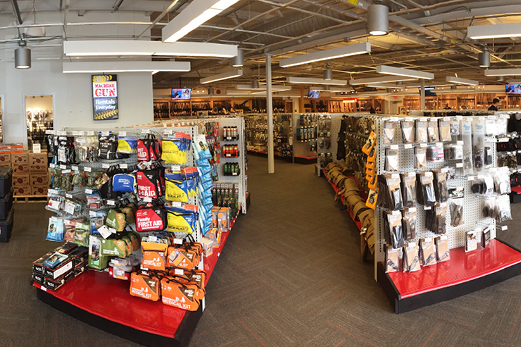 Technically, we are a gun store — but we’re more than just retail space. Here at Trop, we equip, educate, empower and enhance the shooting sports lifestyle — all while supporting your 2nd Amendment liberties. To all levels of shooters, we offer products we ourselves use; a climate-controlled, indoor gun range; an experienced training team with an in-depth course list; an in-house armory and a club for public events. Our experienced staff will work with you to help find the best products for your personal need and skill level. Not to mention we’re also locked and loaded with a pretty awesome team. We aim to create an environment in which shooters (behind or in front of the counter) can grow together. Come in, experience the Trop difference and see why we’ve been voted Readers’ Choice for the best place to buy a firearm. 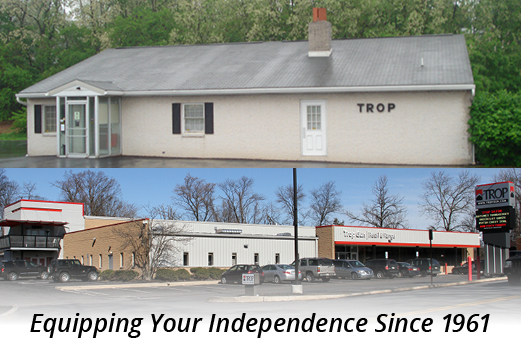 Equipping your independence since 1961, Trop Gun has undergone a renaissance in recent years. In October 2013, the doors opened to its new, much larger facility. Empowering the shooters’ lifestyle, Trop Gun not only has the gear to equip the shooter in you, but it also offers an indoor gun range to enhance your shooting lifestyle; many training courses to educate all levels of shooters and a club for private and public events. To think, it all started as Tropical Treat — an ice cream shop that also sold guns! We stock our shelves with the products we want to buy, so we’re confident you’ll find everything you need to equip your shooting lifestyle. Find new and used firearms, tons of ammo and accessories to personalize your arsenal. From beginner to pro, we have the gear to take your skill set to the next level. Can’t find what you’re looking for in-store? Our online store gives you 24/7 access to 14,000+ industry leading products with some exclusives that you won’t find in store (local pick up options available). Shoot on our state-of-the-art, climate-controlled, indoor gun range — you don’t even need your own firearm! 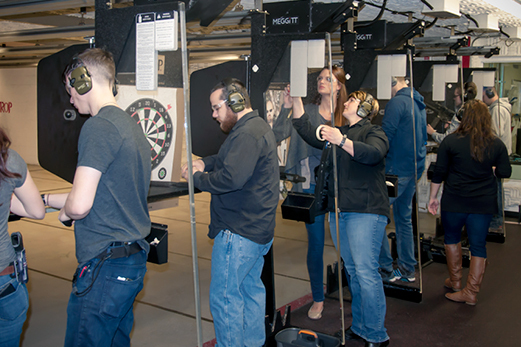 With tons of affordable rental gear and 12 shooting lanes, we can accommodate personal shooters and groups. You can even try a used firearm before you buy it! Learn more about our range on our range page — we look forward to shooting with you. We’re serious about firearms — not only do we want to equip you with the best firearm, but we want to educate you to know how to handle it in all types of situations. 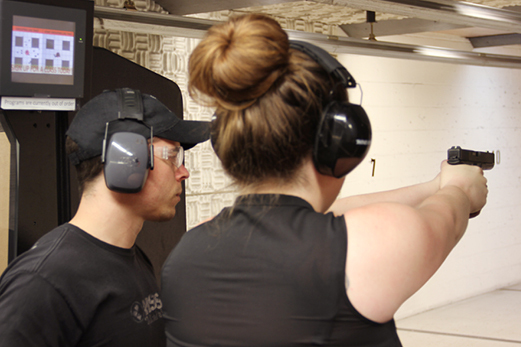 Whether you’re a first-time shooter or a long-time pro, our classes will make you a safer and more effective shooter. We also offer personal training — find out more on our training page. Call us today for more information at 717.367.5585. We look forward to shooting with you.